Before placing an order for one of our Tenant Referencing services you must first register your details to create a user account. Once you have completed this simple registration process you will have full access to our services and may order online or by sending us paper application forms completed by your tenants and guarantors. When you have logged in to your user account select ‘Create new application’ and select the Credit Check service. You will then be asked to enter the details of the property being let. Add the tenant details one by one before confirming your order. You will need to have the following information and will be asked to confirm that you have the permission of the applicants to search their credit file. For this service, you can choose to enter the full details of each person or simply supply their name and email address and we will send them an electronic application form so they can complete their own details. When you have logged into your user account select ‘Create new application’ and select the Full Profile service. You will then be asked to enter the details of the property being let. On this page, you can select whether to fill in the full tenant details or for us to send them the application by email. The default option is for the applicants to complete their own forms. After this step, add the tenants' details one by one before confirming your order. This service is designed to assess the suitability of a limited company (ltd) or public limited company (plc) that has applied to rent your property. To place an order you will need to have the following information. When you have logged in to your user account select ‘Create new application’ and select the Company Profile service. You will then be asked to enter the details of the property being let and on the next step, enter the required details of the company. To order by application form download the required application form using the links below. 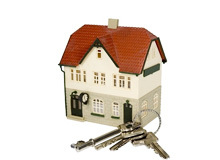 A separate application form should be used for each tenant or guarantor that you would like to be checked. Once the forms have been completed and signed by each person you can return the forms to us by fax or post, or you could scan them and send them to us by email. Once we have received the application forms we will contact you to discuss the initial stages and process a payment for the service.